When it came time to pick a repair shop my husband and I decided to give our business to the Kirmac Collision Shop off of 228th and Dewdney Trunk Road in Maple Ridge. We live in the area and regularly witness what a KIND business this is (They always make their lot available for the various community car wash fundraisers). They provided great customer service to us. Making sure we had a clean and comfortable replacement vehicle. They did an excellent job in fixing our car. and cleaned it inside and out. And didnt charge us for some damage that they were able to buff out. Also told me, now that weve gotten our repair work done there, they will fill windshield chips, for free, for the life that we own this vehicle. We are super pleased and happy! Thank you Alicia, Hailey, Vick and all the wonderful people that looked after us and our car! Whenever we need you again, you can rest assured that we will bring our business your way and tell everyone about the great work you do! I have taken my work truck and personal vehicle to Kimarc Collison and both times I have been treated EXCEPTIONALLY well. Very smooth process. As a manager myself, dealing with Josh their store manager, I can surely say "he knows how to run a business and take care of his customers, he gets it!" Thanks Josh. Until next time. I called earlier today because i had gotten a rock chip on my windshield last week. I was impressed from the off at how friendly the guy on the phone was, I think his name was Josh. When I got there he was super helpful , and told me that I didnt even need a repair. If I need any future work done I will be coming here. Absolutely fantastic service / professionalism / courtesy. I took in my car to get my side view mirror repaired. 30 minutes later, the mirror was repaired right in front of my eyes. My thanks to Eric and the whole team. 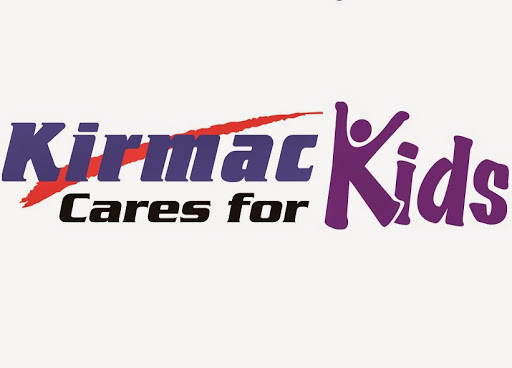 I wholeheartedly recommend Kirmac Collision and Autoglass in Maple Ridge to anyone. A++ ! Was able to get in right away with a courtesy car ready and had my truck fixed in a week! Service was excellent and staff was very friendly. Staff are amazing!! i wanted replace my emblem, they did it for me without charge. very efficient and very friendly. i will visit again!! Great Service! Very efficient and professional. Thank you Jeff Shantz! Quick, great service. Rental arranged and repairs completed!